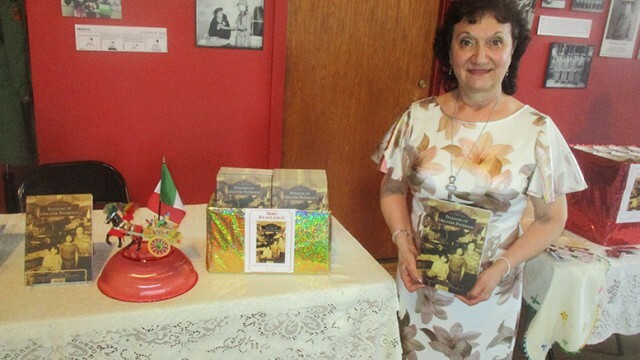 A new book showcases, through vintage images and narratives, the experiences of Italians in Paterson beginning in the early 1900s. An appetizer made up of corn, beans, and squash – three staples of the Lenape people – and a submarine sandwich, named after John Philip Holland’s underwater craft – both representing flavors of the Great Falls — were prepared and served at the Eva’s Village on Tuesday. 11-year-old Zakaria Khan was visibly excited to see his hand-drawn portrait on display at the Paterson Museum on Saturday morning. 20-year-old John Vallejo got into boxing at the insistence of his brother’s coach. Now, Vallejo is blazing his own trail. Passaic County prosecutor Camelia M. Valdes held a discussion on identifying, reporting, and preventing hate crimes at the Passaic County Community College earlier in the month. She had three panels that included law enforcement officials, resource organizations, and community leaders to address each facet of the subject. In a pair of meetings focused on strengthening community and law enforcement relations, New Jersey Attorney General Gurbir Grewal spoke at the New Roberto Clemente School and the Hani Awadallah School, both in Paterson. A playground emerged at Westside Park on Thursday afternoon after a day of work by 150 volunteers. A school bus driver has been banned from working for the district for allegedly failing to halt a safe distance from an active railroad crossing.